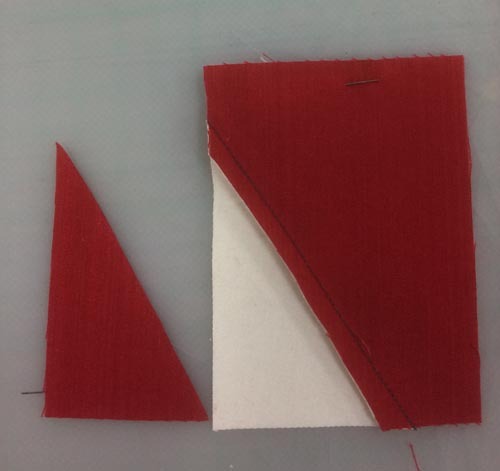 Cut this into 9 pieces using a ruler, keeping the cuts parallel with the edges and a bit uneven. I don’t measure. Trust your eye! 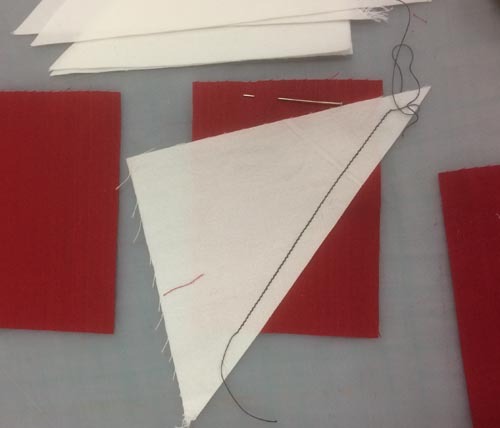 Cut some star point pieces – make sure they are fairly generous, as it’s horrible to unpick these. 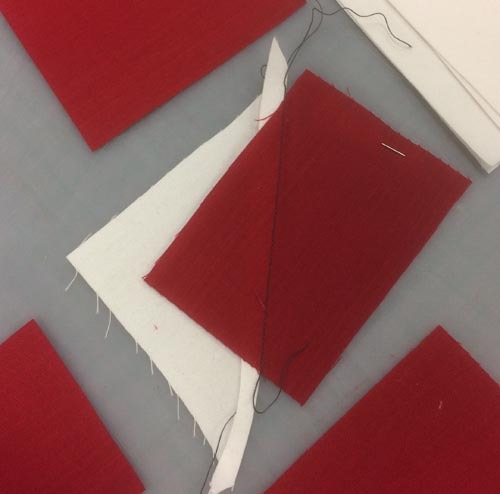 Making sure the point is big enough to cover the background when pressed, sew the pieces onto your corners with a straight seam, like so. 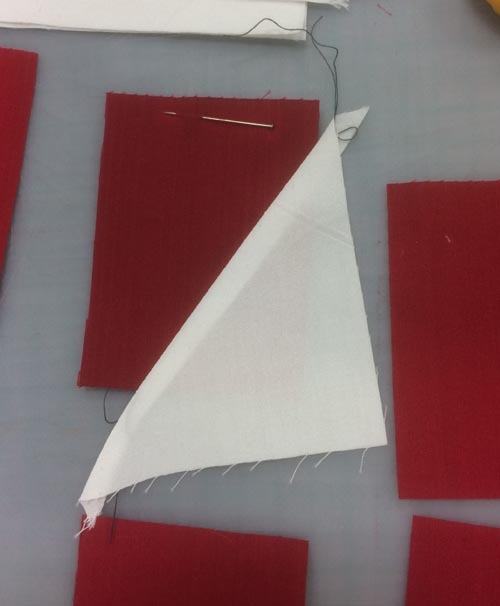 Use a small stitch (and a matching thread, this one is a contrast so you can see it). 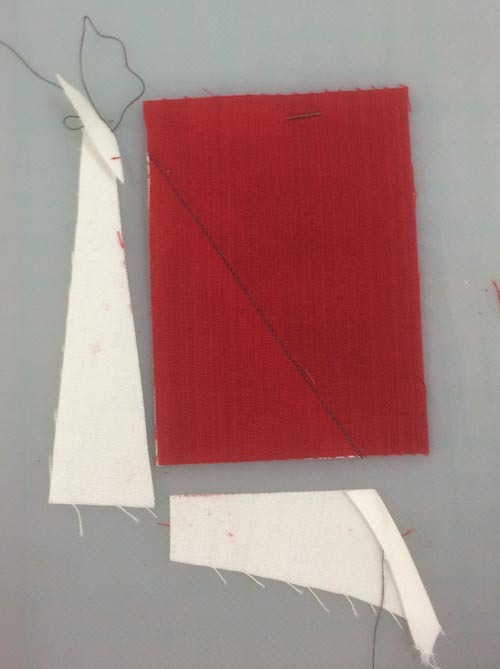 Keep all the pieces that you cut on the mat next to your machine, and work methodically. 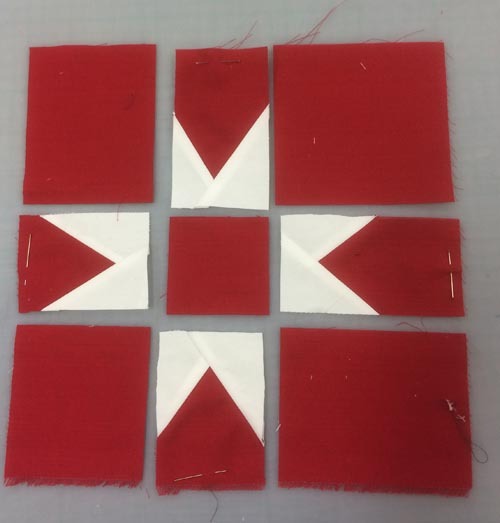 Sew one star point to each of your four “pinned” pieces, making sure the point is pointing from the inner edge each time.. Pay attention! 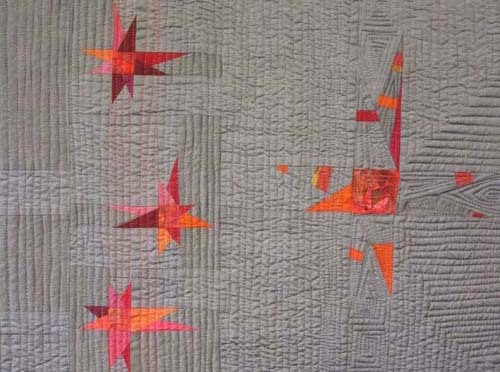 Press these pieces neatly – you can see the background underneath the star point here, and the pin.. 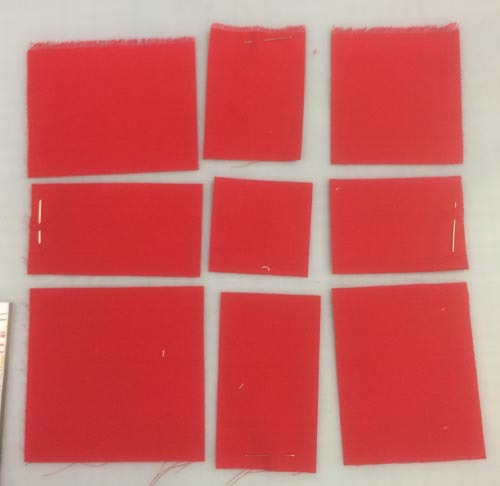 When all the parts are done, pressed, trimmed and ready, sew the 9-patch back together in the usual way. 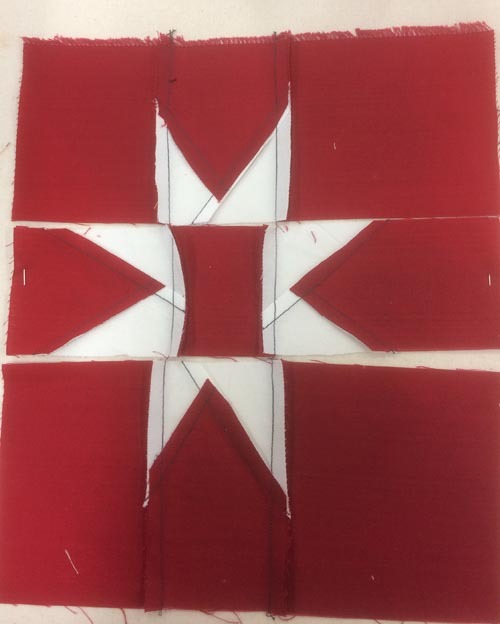 This star is “hollow” – if you want a solid centre or another colour, use the original centre piece as a pattern and cut exactly the same size..
Here’s the back, to show pressing at the first stage..